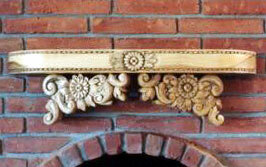 a very special and personalized touch to any home. 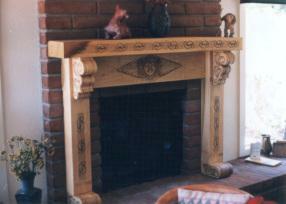 to your real estate investment. 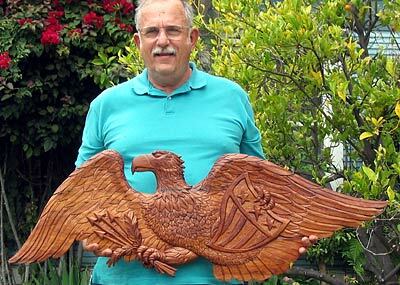 please feel free to send Richard an email. 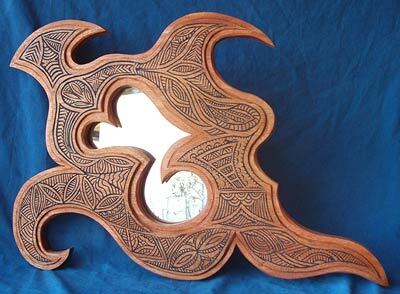 Home Emblem for Historic "Whale View Point Cottage"
African Mahogony inlaid with Ebony dust, 30", commissioned 2010. 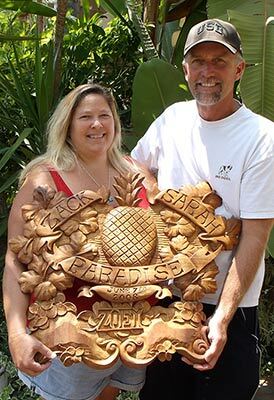 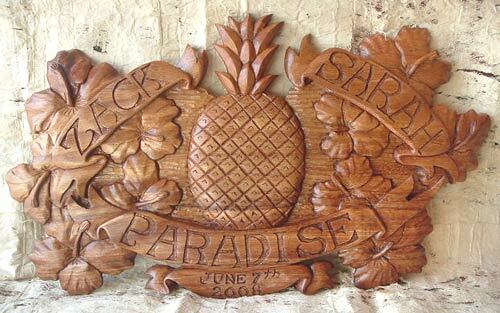 Welcome pineapple entryway plaques hand carved for the Paradise family. 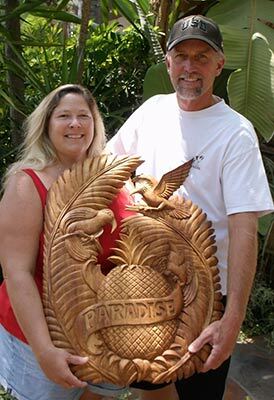 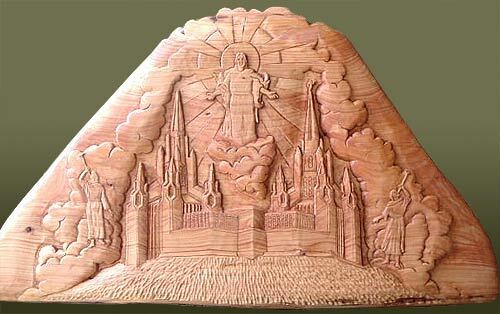 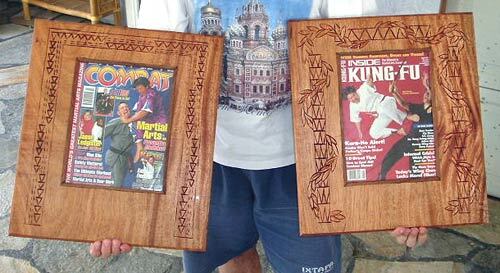 Guanacaste Wood Carving - 45" x 15"
"Mormon Temple Wood Carving #2"
36"X20" - commissioned sculpture, Cypress wood carving. 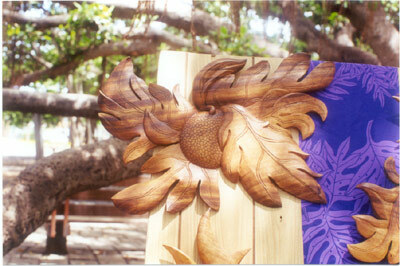 Adapted from old Palauan storyboard. 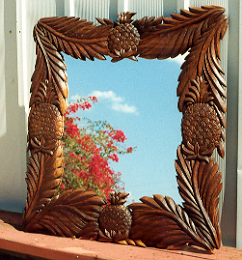 Australian Brown Mallee burl base. 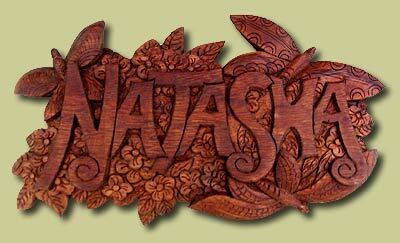 "Natasha - Hand Carved Name Plaque"
Mexican Perota wood (Guanacaste) - 13" x 7"
Hand carved "Logo of Native Research Network"
from Avodire wood, 11 inches. 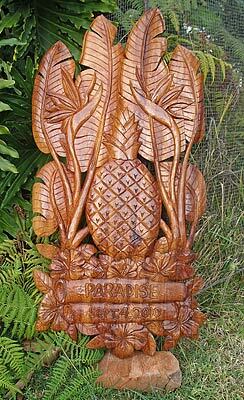 Welcome Pineapple, Perota wood, 42"X22", commission. 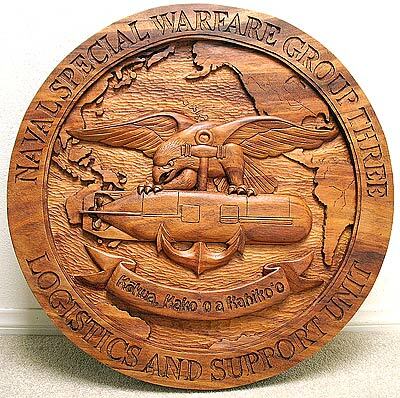 "US Navy Seal Team STDV unit shield." 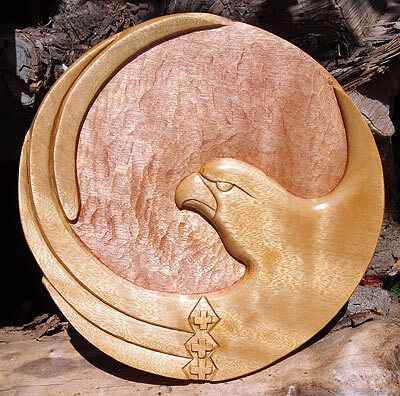 Commissioned piece 30" diameter hand carved Earpod wood. 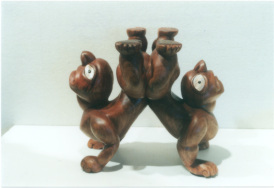 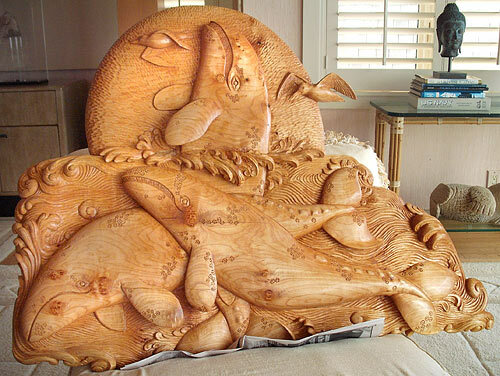 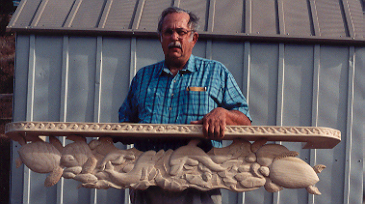 Wood Carving by sculptor Richard M. Howell (2011). 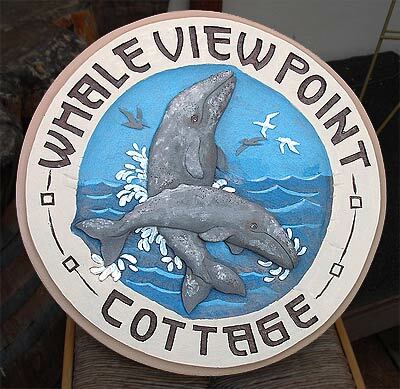 "Whale Viewpoint Cottage" in La Jolla, California. 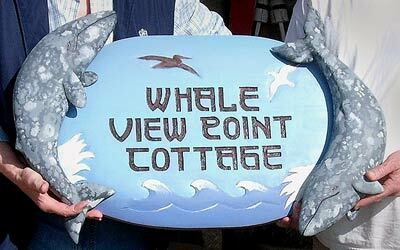 Seaward side home plaque, hand carved and painted California Grey Whales for Whale view point Cottage, La Jolla, California.